Some Windows 10 users are reporting that they’re losing files, and their battery life is lower, after installing the latest update. Some users claimed to have only lost a few files, but others said they have lost hundreds of gigabytes – and there doesn’t seem to be any way to get them back. The update also appears to be causing processors to overexert themselves, causing lower battery life. Microsoft told Business Insider that it’s investigating the issues. If you value the files saved on your computer, you might not want to update to the latest version of Windows 10 just yet. 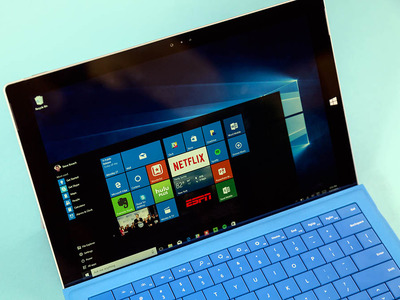 Some Windows 10 users who installed the Windows 10 October Update – officially released earlier this week – are reporting a myriad of issues, including deleted files that they can’t recover and unnecessary processor use that’s eating the battery life,Digital Trends reports. A spokesperson for Microsoft tells Business Insider that the company is investigating the claims. It also points out that generally speaking, only advanced users will have installed the update – Windows 10 PCs won’t start prompting people to install the update on their PCs until October 9th, meaning that anybody who already has the update has actively sought it out. Affected users quickly noticed that files in their user directory – where folders like Documents and Pictures are found – were missing after the update. Even after reverting the update to the previous version of Windows, the files were still gone. One user on the Microsoft support forum said they lost over 200 GB of files after installing the update. Other forum members reported similar issues. The issue with missing or deleted files could be linked to OneDrive, Microsoft’s cloud service, according to mspoweruser.com and Twitter user @coolKevinator. Heads up to anyone updating windows. Apparently, if you have documents saved in your user directory, i.e. users/JohnDoe, and not one drive, the update will delete EVERYTHING in that location. So if your "Documents" or "Pictures" don't have a one drive symbol, MIGRATE IMMEDIATELY! Additionally, it appeared the update was causing computers’ processors to overexert themselves, resulting in a lower battery life for laptops. The excessive processor use appears to result from compatibility issues with the Intel Display Audio drivers running with some Intel processors, and Microsoft is aware of the issue. The company is now blocking downloads of the new update on potentially affected machines until the correct drivers are installed. “We recommend that you do not attempt to manually update to Windows 10, version 1809, using the Update Now button or the Media Creation Tool from the Microsoft Software Download Center until newer Intel device drivers are available with the update,” Microsoft said on a support page.